HD Medical Video Recorder - Zowietek Electronics, Ltd. 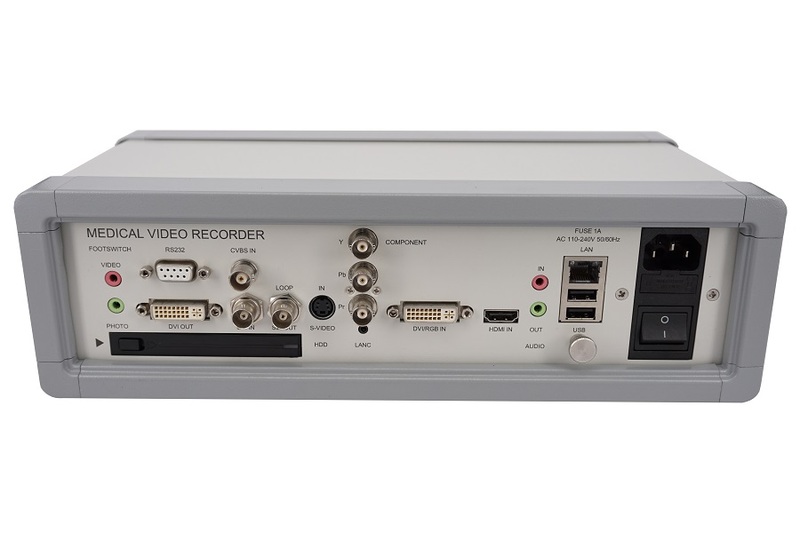 The HD MediDVR, a medical grade all interface in one full HD Video Recorder, is industry’s most affordable and versatile high definition recorder solution. It combines superior image and video quality all versatile inputs extensive easy control various removable storage medias and a rage of innovative features. 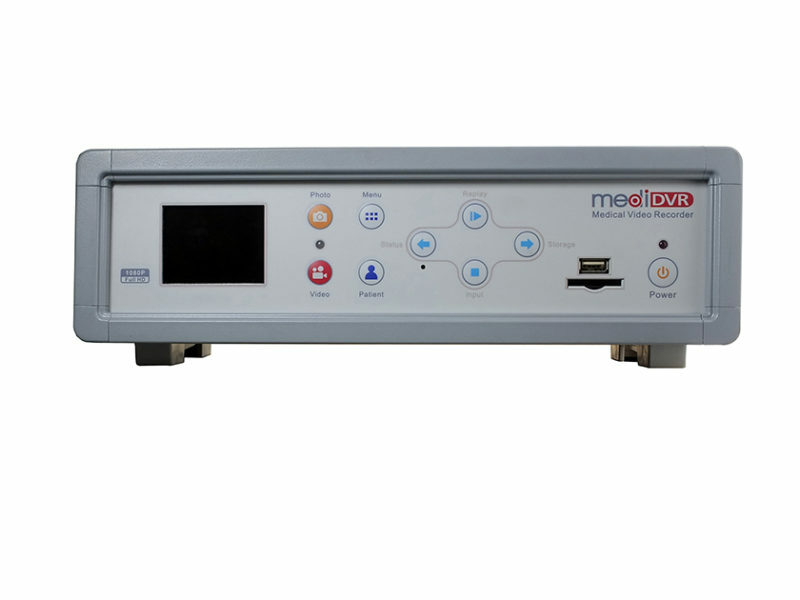 MediDVR can record high-definition crisp1080p video from endoscope arthroscopy surgical camera C-Arms ultrasound etc. Saves extremely clear still images and videos to an internal removable HDD external USB HDD USB Flash SD Card or network. With HDD it can record highest quality HD video up to two weeks. Three level record quality is available. On board gain adjustable omnidirectional microphone buzzer and full color LED feedback are also available. Meanwhile MediDVR supports real time streaming by connecting to the hospital network. It enables the live transmission of procedures to other practitioners or students outside of the operating theater for training or monitoring purposes. 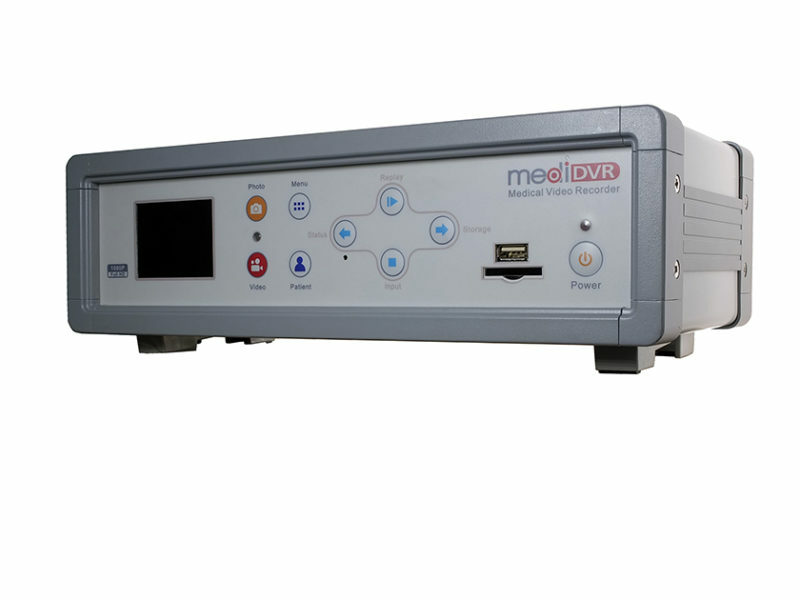 MediDVR is small size universal and easy operation no special training is required. It is just plug and play. Besides the foot pedals LANC remote control is also available it can provide extension cable length and recording status feedback. The front panel is fluid resistant. 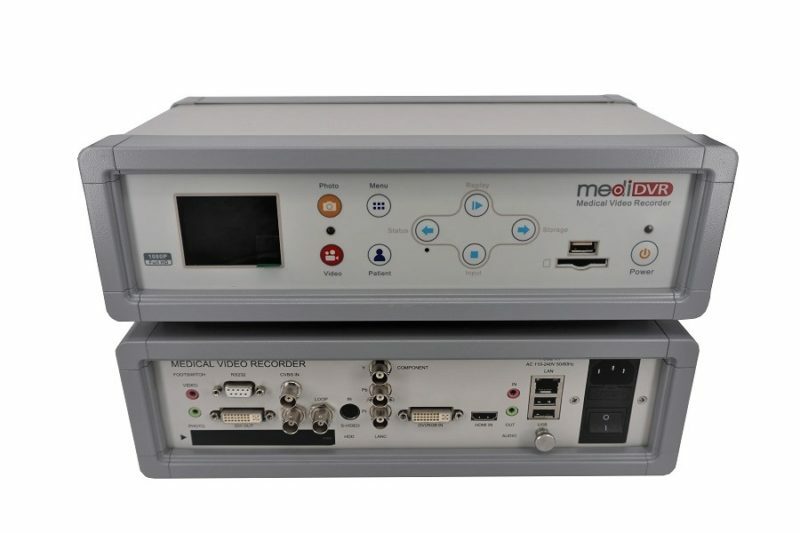 MediDVR has universal video connectivity and compatibility the multiple video input formats enable compatibility and integration with virtually all surgical system manufactures. It accepts a wide range of video interfaces and types: CVBS YPbPr DVI VGA S-Video HD/3G SDI HDMI an well as 1080i50/60 or 1080p50/60. It also has SDI loop output and local DVI preview output. 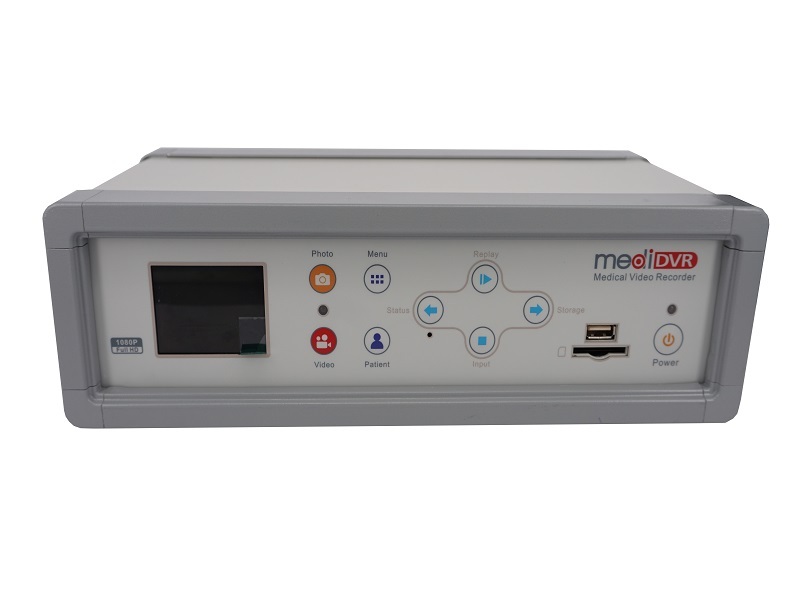 The MediDVR can be used in almost unlimited number of situations the major application is in medical imaging. No long limited to paper or film-based images and no longer any need for cumbersome DVD disks. 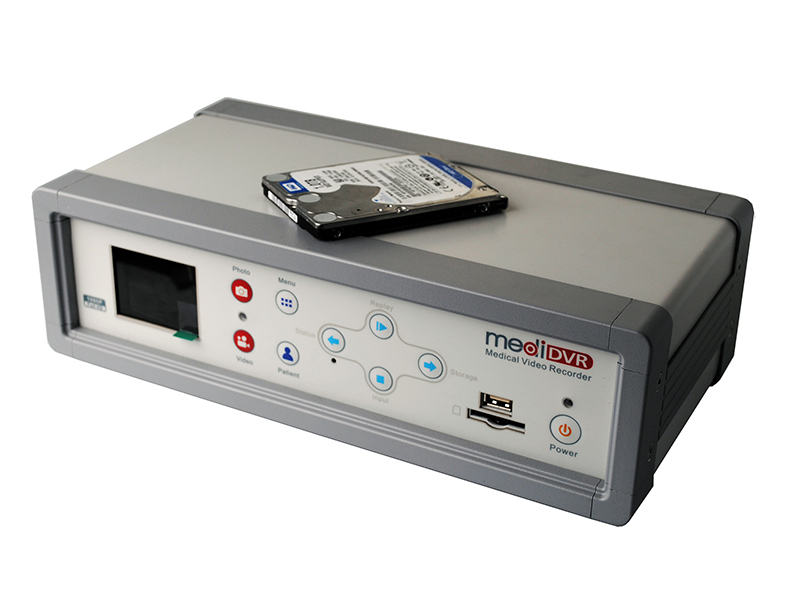 The MediDVR allows you to easily record digital video and images directly to a flash drive or hard drive. You can archive and share your recordings on a secure hospital networks enhance them with third-party editing programs etc.